We always love speaking to our graduates and frequently feature them on our blog and social media channels, because we’re so proud to watch what they’re doing around the world! 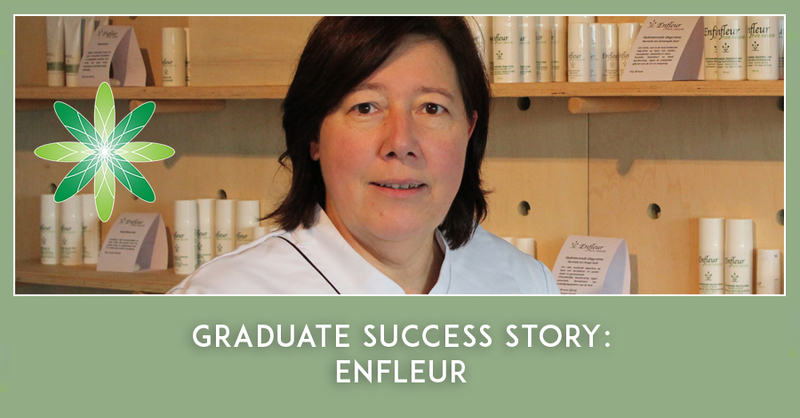 In today’s interview we speak to Marleen Maras, one of our graduates in Belgium who has created a beautiful brand called Enfleur. Hi Marleen, please introduce yourself to our readers! I am Marleen Maras, living in Belgium, wife and mum of 3 boys. I have been working for many years in academic labs and obtained a degree of PhD Biotechnology. After several postdoc studies, I had to make a career switch, so I became an account manager working for several big companies to sell products for biotech research. However, my heart is in the lab and as such I started my own lab at home, first as a hobby, then as a business. 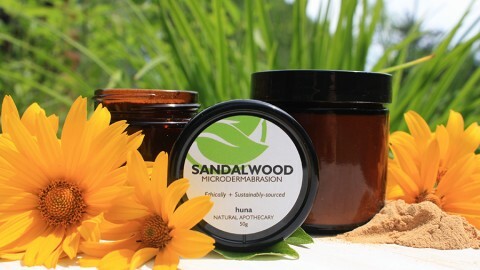 My passion is with plants, herbs, aromatic plants, see weeds, I consider these small wonders of our planet and I wanted to use the extracts, distillates, infusions… in skin care products. 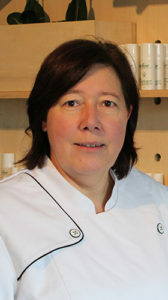 My business is about natural skin care, in a first instance for people who have been using products for many years and at a certain moment discover that their skin doesn’t’ t support the creams they were used to (is also my own case). I wondered: Shouldn’t every skin be treated in the gentlest way? My focus is on gentle, safe and very skin friendly products. I have my own lab where I develop products and manufacture them on a small scale. Enfleur is still small, it is in its start-up phase. I recently started to work on sales and marketing, and I am doing efforts also to find partners that can help me to obtain good sales results, so that I can devote more of my time in the lab (this is where my talent and passion lies). Since October of this year, I have been blogging, communicating on Facebook, and sending samples to people I do not know to collect honest feedback. The reactions were very positive!! This has given me a boost of new energy to continue my business. 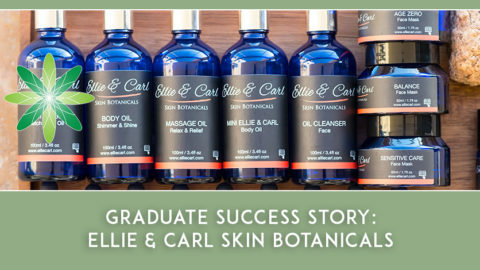 When I started my business, I was totally crazy about aromatherapy. Enfleur comes from one of the techniques that is used to extract essentials oil from delicate plant material, namely ‘enfleurage’. I liked the word ‘Enfleur’ because it creates a sense of feminine, flowery and nice smelling products that I wanted to put on the market. 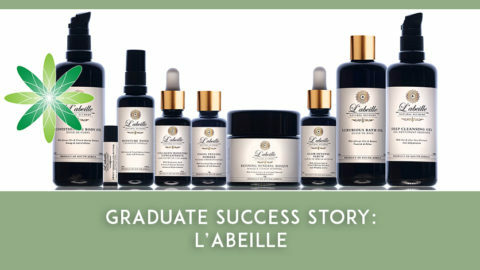 What type of skincare products do you sell at Enfleur? At the moment, I have been working on a line for facial care, with products everyone needs on a daily base (cleansing, toning, day and night cream, and oil serums). 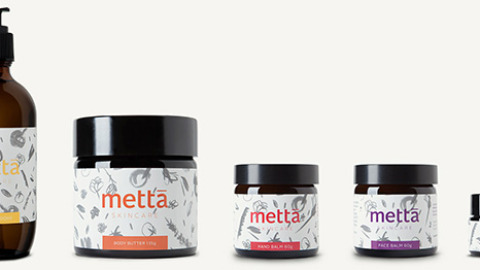 I also developed some products for the body (body butter, body oil). My favourite product(s) are my day creams. I took a lot of work and many trials and error to come to a product that is different from so many natural creams that are now on the market. The emulsifier I have been using is very difficult to work with, but once I discovered how to work with it, I could make good and stable creams. The emulsifier has been crucial to obtaining skin friendly and gentle products. 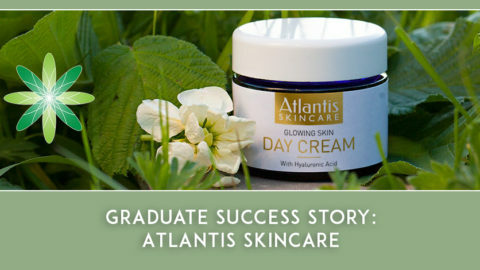 I also have been working with actives that offer valuable protection, especially against the sun and against oxidants. 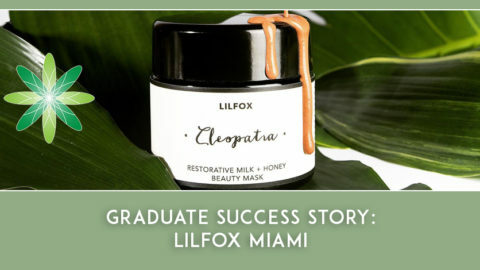 I followed the first online course launched on the internet by Lorraine – which has now become Formula Botanica’s Diploma in Organic Skincare Formulation. The course gave me insight on ingredients, how to create formulas, how to develop, which procedures need to be followed up, and also helped me to find suppliers of ingredients. This information is still of value in my current formulating activities. Also the classroom on Facebook is valuable, and becomes of more value the longer I continue with Enfleur. I was suffering from a very sensitive skin myself, and did not use any cream anymore. Since information became available on the net how to develop DIY products, this triggered me to start developing products at home. Skin care is my priority: there are so many products on the market that are not okay. I do not think I am the only person who became suspicious about the quality of skin care products that are nowadays on the traditional cosmetics market. Inform yourself about the need and cost of safety reports. It is important to realise this is needed according to law, while it is costly and difficult as a small starter to find the suppliers to help small businesses with all needed documents for a good safety assessment.